What does it mean to be a good massage therapist? Is it someone who always tailors their service to their clients’ individual needs? Is it someone who is friendly and knows how to effectively communicate with clients of all ages, backgrounds or cultures? Or is it someone who is always improving their skills, staying on top of the latest massage techniques? Whilst all of the above are important, having the desire and motivation to constantly learn and improve your massage therapy knowledge is a necessary aspiration. Let’s take a look at some of the reasons why ongoing training is essential for massage therapists. There are always new things to learn in massage therapy, whether you’ve been in the industry for ten months or ten years. No one ever ‘knows it all’, and developing a passion for ongoing massage therapy training will make sure you’re always at the top of your game, delivering amazing service to your clients with new and improved techniques. The well-known phrase ‘knowledge is power’ is true for the massage therapy industry. Consistently putting in the time and effort to update your skills will increase your reputation within the massage therapy community. If you rely on word of mouth at all for your client referrals, this could be a major benefit. If you’re already a certified massage therapist (for example, if you’ve obtained Discover Massage’s Certificate in Whole Body Massage), doing an add-on course like our HLT42015 Certificate IV in Massage Therapy Practice will demonstrate your commitment to professionalism, potentially taking your massage therapy career to new heights. Within the massage therapy profession, there are many recognised ‘modalities’, or types of massage. These include areas like deep tissue massage, remedial massage, pregnancy massage, sports massage, and the treatment of issues such as lymphatic drainage, myofascial release technique, and many more. When it comes to client management, it’s your responsibility to be able to understand their bodies in a way they may not. If they’re complaining of an ailment or niggling ache and you know that treatment is outside your area of expertise, then the right thing to do would be to refer them to a specialist, who you know is going to be better-equipped to help them. However, if you’ve branched out in your training and have taken the time and effort to specialise in a variety of different massage modes, you’ll be able to keep your clients in-house. This will mean you’ll be able to give them the highly-effective treatment they need, no matter what their specific concerns are. Having these new skills will broaden both your knowledge base and your client base. Being able to treat a range of clients, from sports players, to elderly people, to those with specific health concerns, means you can advertise your services to a wider audience and essentially bring in more business to your practice. As well as being very interesting to learn about, the increased massage skills that you’ll develop through specialising in different areas will increase the overall quality of your service, and will allow for better results for your clients. Discover Massage offers a range of courses that branch out into different areas of the massage therapy profession. These range from our Deep Tissue Massage for Common Injuries course, to our HLT42015 Certificate IV in Massage Therapy Practice and HLT52015 Diploma in Remedial Massage. Nothing kills career motivation faster than doing the same thing, day in and day out. You’ve already taken a huge step towards a career that you’re passionate about, so now it’s your job to make sure you stay enthusiastic! Constantly challenging yourself to upskill and learn new things within the massage therapy industry will keep your fire alive, by forcing you to get out of your comfort zone. Gaining new knowledge will keep you interested and satisfied as you build up your client base and experience. Continuing education classes are also a great way to network with other massage therapists who are pursuing the same path as you. As most of the attendees will be at least a couple of months into their massage industry careers, you’ll be able to swap notes about your experiences, and gain valuable insight into how other people have advertised their services, retained clients, and any other interesting information they’ve picked up along the way. 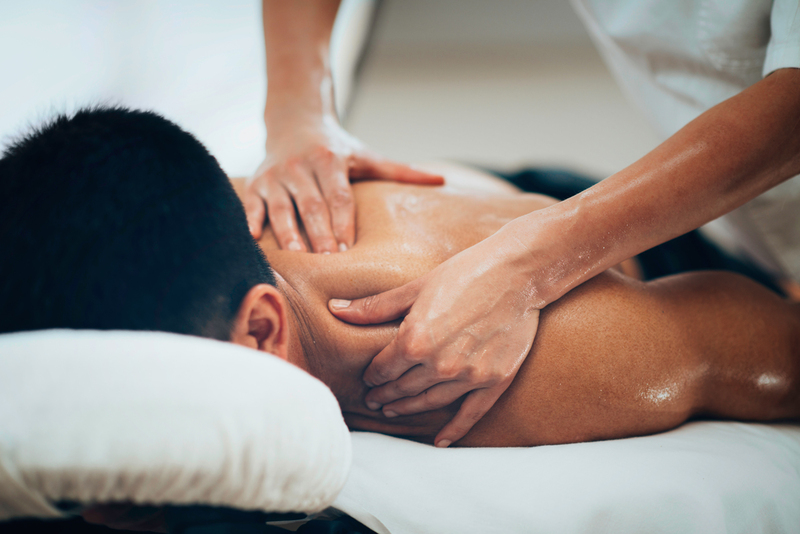 Even better, if you’ve already specialised in a specific mode of massage and a fellow student has a client that needs this service, you’ll be able to swap contacts and make some great referral partners for your business. There are so many benefits to continuing to educate yourself about the different specialties and skills involved in massage therapy. Remember, knowledge is power, and there’s always more to learn! Besides giving you the potential to boost your massage business to new heights in terms of your client base, continuing massage therapy education will keep you motivated and inspired as your pursue the career you’re passionate about. Sign up for a Discover Massage Australia course today.